Vasile Iuga is a retired International PwC Partner and one of the most respected consultants in Romania. He currently serves as chairman and board member for a number of local and foreign companies while pursuing two entrepreneurial projects. He sits as well in the Audit Committee of the EIB. Made International PwC Partner in 1997 he was Country Managing Partner for Romania (2004-2015), Managing Partner for South East Europe, a cluster including 10 countries and 1300 employees (2008-2016), the Management Board of PwC CEE, a region including 29 countries and 8000 employees (2004-2015). He was directly responsible for the delivery of revenues of 800 million USD during this tenure with PwC. He personally led hundreds of large and complex projects in Romania and the CEE region in the field of financial audit, M&A, restructuring, mainly in the financial services and energy sector. As such, Vasile developed an in-depth understanding of the political, economic and social aspects of the CEE region. Member of the Steering Committee of the Energy Strategy of Romania, etc. Vasile served for many years as vice president of Am Cham in Romania and he is currently Treasurer of Aspen Institute Romania and Treasurer of the Olympic Committee of Romania. 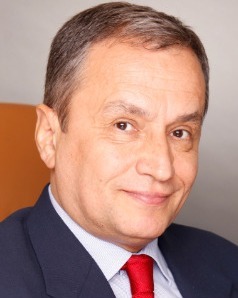 He is coauthor of the book ”Success formulas for the Next Decade” (2011), coordinator of ”7 Fundamental Themes for Romania” (2014) and Lead Coordinator of ”Transatlantic Romania” (2016). He published hundred of articles and papers in local and international magazines and a regular speaker at important conferences. Graduate in Aeronautics he had training with HBS, INSEAD, IMD, etc. Professional memberships: FCCA, CAFR, CECCAR, ANESR. Professor Honoris Causa for UBB in Cluj Napoca.